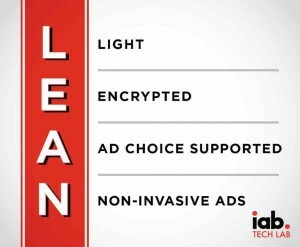 Today’s announcement of the launch by IAB US of the “L.E.A.N.” ads programme and the IAB Tech Lab, following on the heels of the recent IAB Global IAB Summit, is dramatic proof of the digital advertising industry’s determination to deal at source with the causes of consumers’ increased use of ad blockers. The IAB believes in an ad funded internet, so that publishers can continue to make their content, services and applications widely available at little or no cost to the consumer. L.E.A.N. stands for Light, Encrypted, Ad choice supported, Non-invasive ads. These are the principles that will help guide the next phases of advertising technical standards for the global digital advertising supply chain. At the Global Summit, IAB Europe was tasked with leading on development of a code of good practice or charter to which the entire ecosystem can adhere. 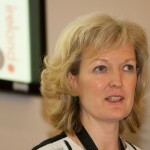 Suzanne McElligott, CEO, IAB Ireland (pictured right) is a member of the IAB EU Board Taskforce on ad blocking. The taskforce is currently reviewing the draft digital advertising charter, which should be completed and signed by all relevant stakeholders by the end of 2015. The IAB EU Taskforce is drawing on national-level initiatives to address the challenge of ad blocking, notably in France, Germany and the UK. In addition to the charter, it will explore other technical, commercial and legal work-tracks, and leverage IAB Europe’s close links to EU-level publisher organisations to align approaches. A key output that will also contribute to the debate is the forthcoming IAB Europe White Paper on digital advertising in the European economy. The White Paper will help illustrate what is at stake for consumers, publishers and the European economy if ad blocking becomes more pervasive. The White Paper will be issued on 9th November. IAB Ireland is the trade association for the Irish online advertising industry. As a not for profit organization, IAB Ireland works with members to ensure marketers can identify the best role for online in building their brands. IAB Ireland is a member of both IAB Europe and IAB US. The IAB network shares three core objectives, namely to prove, promote and protect the online advertising industry. These objectives are fulfilled through the dissemination of authoritative research, the organisation of educational events and by promoting industry-wide best practice.